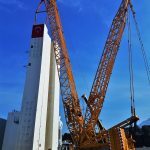 Lifting leg of the installation project of Linde Air Seperation Unit that Teknokon is in charge of contructing and installing, is accomplished. In this step Ultrans, as a solution partner, conducted another project succesfully. 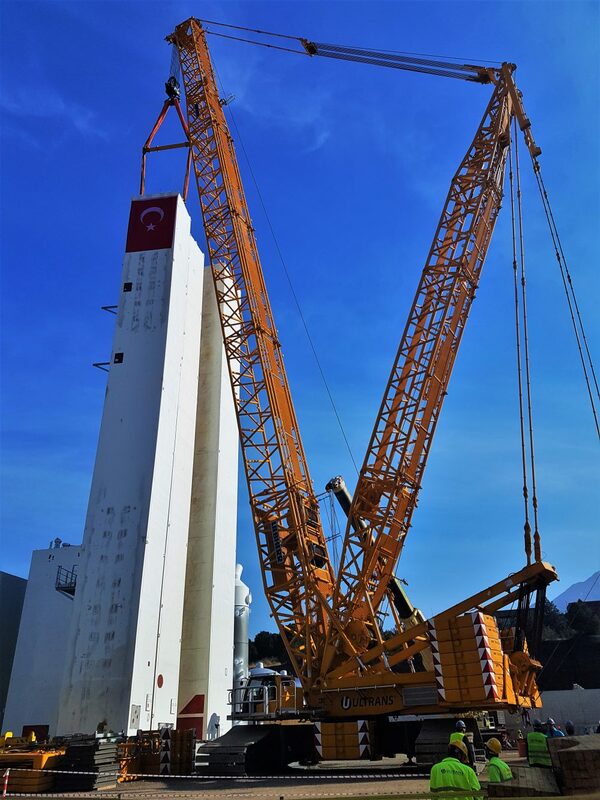 Within the scope of the project,during installation and erection of long and heavy parts such as Recti Box, Argon Box, HEX Box, as a main crane Liebherr LR1600 and as a tail crane Liebherr LTM1500 were used. In addition, Liebherr LTM1100 and LTM1200 were placed for the other stages. One of the transport leaders withouth borders in Turkey nowadays, Ultrans started its journey in 1993. During this journey it achieved to change the definitions such as project and heavy cargo transportation, dangerous goods operations and heavy lifting thanks to its outstanding service attitude and experience.